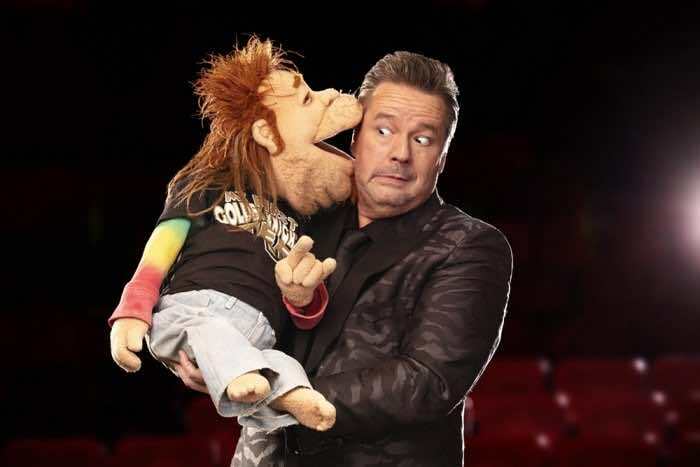 When you are looking for quality entertainment then look no farther than Terry Fator Las Vegas at the Mirage Hotel and Casino. Terry Fator has an amazing show that includes impersonations of several big stars like Elvis, Dean Martin, Aretha Franklin, Garth Brooks, Cher, and many more. Terry Fator has a lot of help from his puppet friends, who are brought to life by Fator’s quick wit and skills. 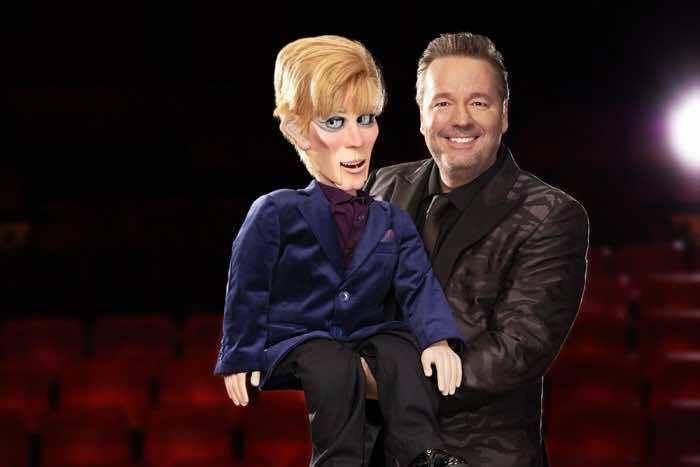 This show at the Terry Fator Theater is filled with many delightful impromptu conversations between the puppets and Fator that will make you smile. Your gut will feel like it will split open while you are listening to the funny commentary. Then Fator and his puppet will break out into a stunning version of a song from a superstar artist. Fator’s voice control is fabulous and he hits every note as well as tone to make his impersonation life like. All without moving his mouth an inch. One of Fator’s biggest assets is his skill of puppeteering. Fator is an expert with his puppets as he brings them to life during the show. The hand crafted puppets are truly unique with detailed workmanship that is impressive. His mastery of the strings is sometimes overlooked because of his mesmerizing lack of mouth movement. One of the crowd’s favorite puppets of Terry Fator is the ever hilarious puppet named Winston the Impersonating Turtle. Winston has no problem during the show telling Fator that he is the true crowd pleaser and that the show is truly his. Winston claims that he has won all of the accolades and Fator is real puppet on the stage. Each puppet has a personality that matches their character. The show features puppets like Maynard Thompkins who does Elvis, Monte Carlo is part of the Rat Pack, Hyphen is the unknown Beatles star, Vikki the Cougar is always on the prowl for someone younger, Duggie Scott Walker is your typical burned out hippie and Cuz Kani Kalipa is your perfectly happy Hawaiian that is looking for a good buffet. There are numerous other puppets used during the show and Fator has a new creation to help enhance the show on a regular basis. Of course it is Fator who is the mastermind behind this show but not one of the puppets will attest to that fact during the performance. The attitude of the puppets and Fator are the perfect match for this spectacular show that is a great fit for families and people of all ages. Terry Fator is one of the more interesting and entertaining performers to bring his act to Las Vegas. Fator has been honing his skills of comedy, puppeteering and being a ventriloquist for over twenty years. In the early days Fator performed his act wherever he could from schools to birthday parties to county fairs. He has always had fun creating new characters for him to impersonate. After Fator winning the television show America’s Got Talent the doors opened wider with appearances on The Late Show with David Letterman, the Today Show and even the Oprah Winfrey Show. Fator has been performing in Las Vegas since his first contract in 2008. 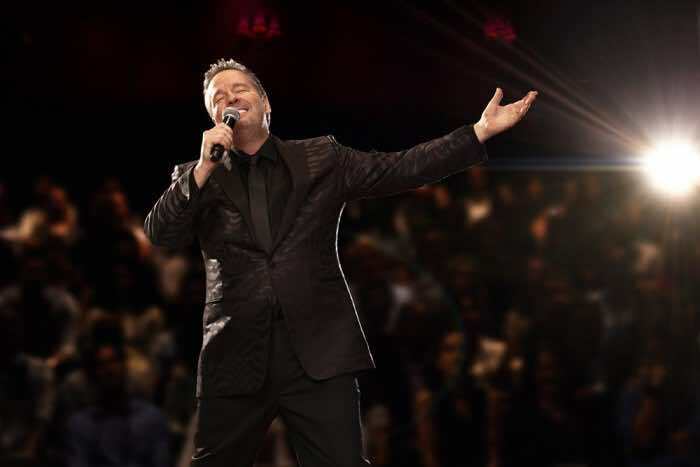 The Voice of Entertainment starring Terry Fator is one of the hottest tickets in Las Vegas. The show is playing at the Terry Fator Theater located within the Mirage Hotel and Casino. The 90 minute show runs Monday-Thursday starting at 7:30 P.M. The show is open to ages five years or older and is a great way to entertain the family. Terry Fator tickets are on sale with a choice from standard view through Buffet + Ticket Special: Includes Category C Seating and Cravings Buffet Package.